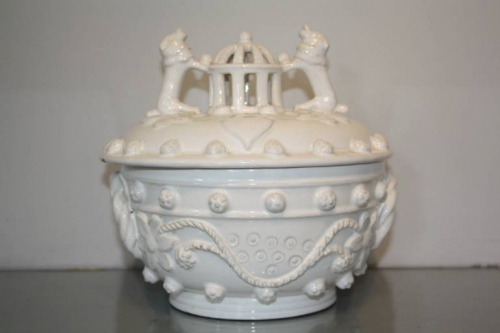 A charming pot with lid decorated with stylised dogs around a crown. French 19thC. There is a mark on the base which may indicate the makers signature.